There is no single word to describe the landscape of Uttarakhand. With numerous holy places, immense beauty and abundant spirituality, Uttarakhand is truly a land of temples. One cannot walk for a kilometer without crossing a temple or hearing the ring of temple bells. Most of the temples are very old and date back to 8th century while some, which were destroyed have been recently renovated. All the temples in the state are very popular and deeply valued by devotees. Uttarakhand is also famous for its Chardham yatra that refer to four primary pilgrimage destinations in the state – Badrinath, Kedarnath, Yamunotri and Gangotri. According to a famous Hindu legend, visiting these four places leads one to eternal salvation. These temples are more than hundred years old and were constructed by Adi Shankaracharya. Besides the above cities, places like Haridwar and Rishikesh in Uttarakhand are also famous for legendary temples. Most of these temples are considered very sacred and have been mentioned numerous times in Hindu legends. If you are planning a pilgrimage tour to Uttarakhand, here are the top ten temples in the state that one should definitely visit. 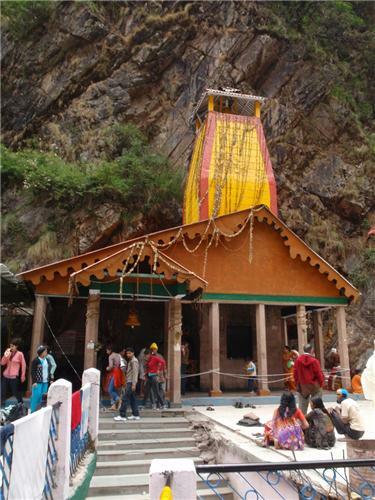 This temple is part of the famous Char Dham Yatra and is amongst the holiest places for Hindus. 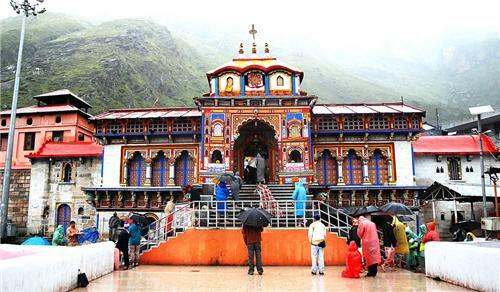 It is located in the city of Badrinath at an altitude of almost 10,000 feet above sea level. 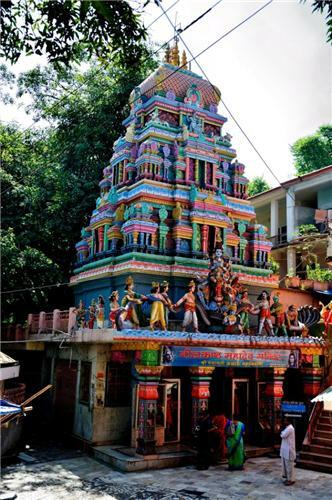 Situated right next to the majestic River Alaknanda, this temple is dedicated to Lord Vishnu. The temple is divided in three sections namely - Garbhagriha (Sanctum), Darshan Mandap and Sabha Mandap. The temple remains closed during winters due to heavy snowfall and re-opens during summers. The temple over here dates back to more than 1000 years and was built by Adi Shankaracharya in the 8th century. The entire temple has a strong structure, which is surrounded by snow clad mountains. The entire view is very beautiful and peaceful to look at. The architecture of Kedarnath Temple is very delicate with the walls of the temple embellished with scenes from legendary tales of Hindu Gods. The sanctorum of the temple is a tapered lingam, which is believed to be Lord Shiva in his Sadashiva pose. Again, the temple is closed during winters and re-opens during summer months. Situated at an altitude of 10,000 feet, Gangotri Temple is located at River Bhagirathi and is dedicated to Goddess Ganga. This temple holds an interesting mystic charm and anyone who visits here cannot miss the holy aura of this place. The temple was built by Amar Singh Thapa, Commander of Gorkhas, about three centuries ago. It is closed during winter months as it is covered with thick snow. This temple is about 20 feet tall with snow clad mountains in the backdrop. 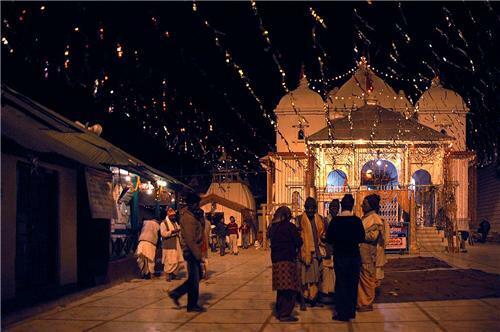 Visit the temple during evening aarti, when the entire place is enchanted with lovely Gangotri songs and diyas. This temple is dedicated to Goddess Yamuna and was constructed by Raja Sudarshan Shah of Tehri in 1839. Since the region experiences earthquakes frequently, Yamunotri Temple was destroyed many times. It was re-constructed in 19th century by Maharani Gularia of Jaipur. The idol of Goddess Yamuna is carved out of a black stone, which is mainly worshipped by the devotees. Located in the middle of thick forests of Uttarakhand, this temple is situated in Rudraprayag at the confluence of Mandakini and Alaknanda Rivers. 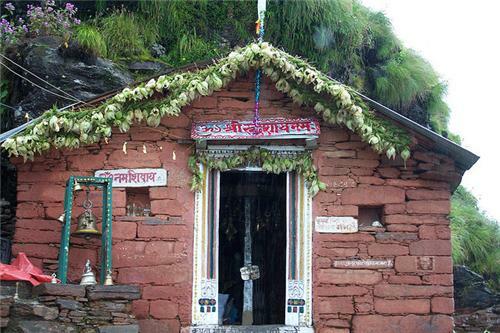 Dedicated to Lord Shiva, Rudranath Temple is perched at an altitude of 7500 feet above sea level. To reach the temple, one has to go through a difficult trek of 18 kilometers. 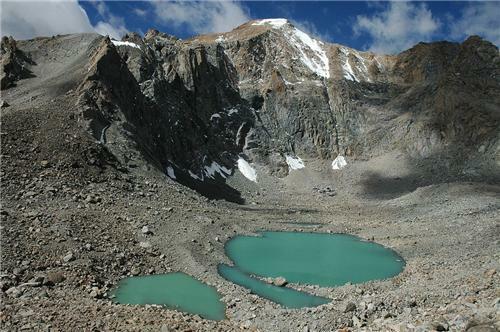 However, once you reach the top, the trek will definitely be worth it. The temple is surrounded by three holy kunds – Suryakund, Chandrakund and Tarakund and provides great view of the surrounding mountains. 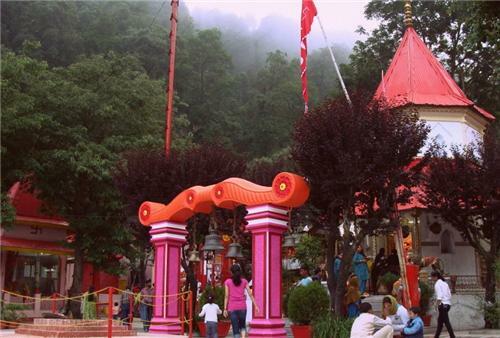 Naina Devi Temple is situated at a popular holiday destination – Nainital, at an altitude of 8600 feet. Legend has it that after Sati burned herself, her husband Lord Shiva got so angry that he started doing his tandava (dance of death), which caused a lot of destruction on Earth. Lord Vishnu, to stop him, cut the body of Sati into 52 pieces that fell on Earth. Wherever her body parts fell, that place is called Shakti Peeths. Her eyes fell in Nainital; hence the temple is called Naina (Hindi for eyes) Devi Temple. 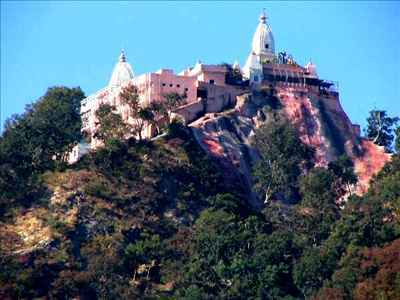 Mansa Devi Temple is amongst the oldest temples in the state and is located on the Bilwa Hill, near Haridwar. According to the legend, after Lord Vishnu cut Sati’s corpse into 51 parts, her naval and heart fell over here, hence it is called Mansa Devi Temple. This is one of the most popular temples in Uttarakhand and devotees from all over the country come to worship the shrine of Mansa Devi. Gaurikand temple is perched at an altitude of 22,000 feet and lays enroute to Kedarnath. The temple is dedicated to Goddess Parvati and legend has it that this is the place where she performed yogic practices to mollify Lord Shiva. Close to the temple, Gauri Kund is located, which is very famous among tourists. 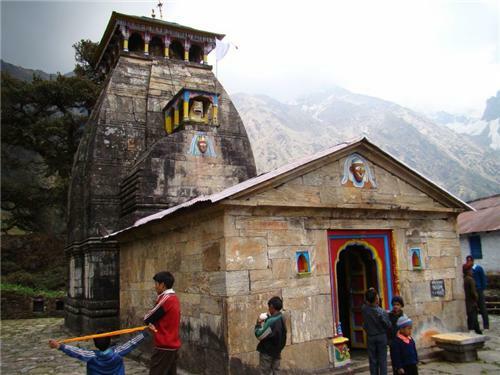 Situated in Rudraprayag District, Madhyamaheshwar Temple is one of the five Kedar temples in Uttarakhand. The temple is perched at an altitude of 10,800 feet above sea level. Madhyamaheshwar Temple is constructed in a classic North Indian style architecture and is surrounded by immense beauty. The trek to the temple is long and strenuous, but once you reach the top, the peaceful aura and calmness of the temple will remove any signs of stress. The water at Madhyamaheshwar Temple is believed to be so pure that it can purify ones body of all sins. 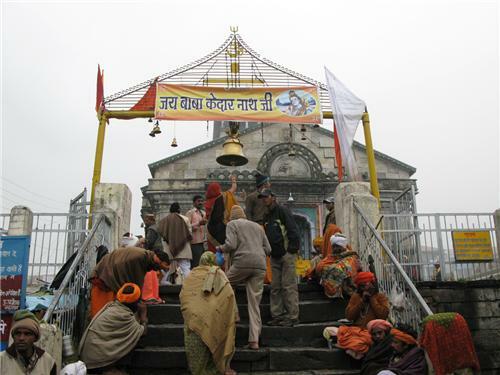 The temple is dedicated to Lord Shiva and is very popular among devotees. Located at an altitude of 3,040 feet near Rishikesh, Neelkanth Mahadev Temple is surrounded by the majestic Nar-Narayan mountain ranges. It is located at the confluence of Pankaja and Madhumati Rivers. According to the popular legend, it is believed that Lord Shiva had consumed venom over here, which turned his neck blue. Hence, he was named Neelkanth (Blue Neck).